*The Sunday Times Top 5 bestseller* EVERYONE'S INVITED. EVERYONE'S A SUSPECT. AND EVERYONE'S TALKING ABOUT IT. 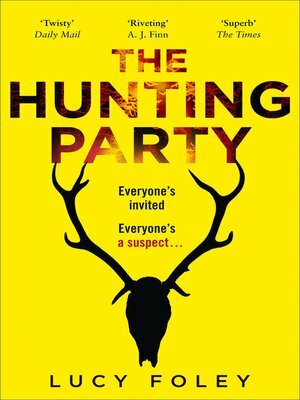 'Ripping, riveting' A. J. Finn'Clever, twisty and sleek' Daily Mail'Unputdownable' John Boyne'Foley is superb' The Times'Chilling' Adele Parks'Terrific, riveting' Dinah Jefferies In a remote hunting lodge, deep in the Scottish wilderness, old friends gather for New Year. The beautiful oneThe golden coupleThe volatile oneThe new parentsThe quiet oneThe city boyThe outsider The victim. Not an accident – a murder among friends.